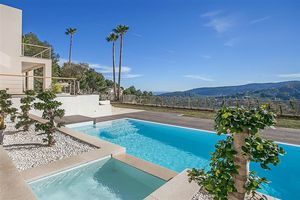 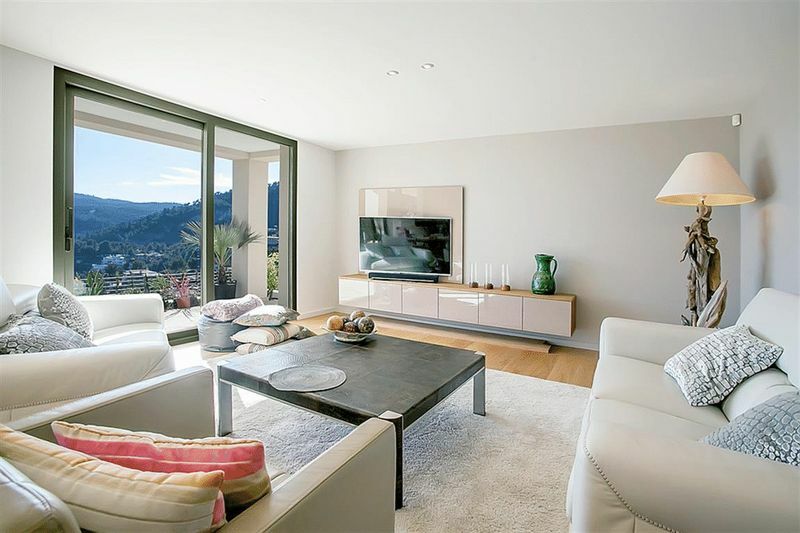 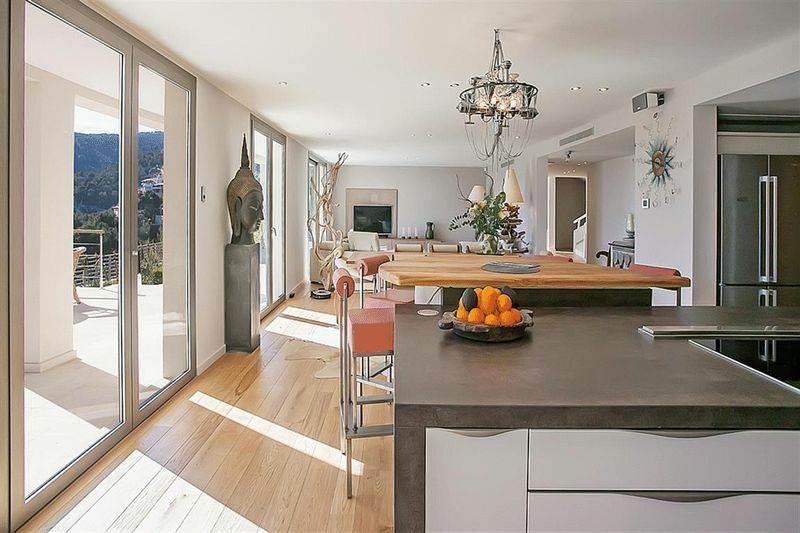 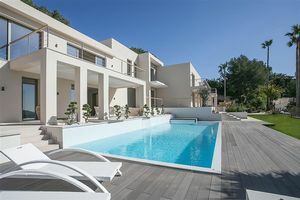 This wonderful villa with 6 bedrooms is located on 2,300m2 and has a constructed area of 747m2; in addition 200m2 of open terraces plus 60m2 of covered terraces. 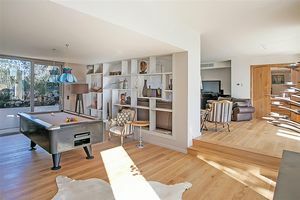 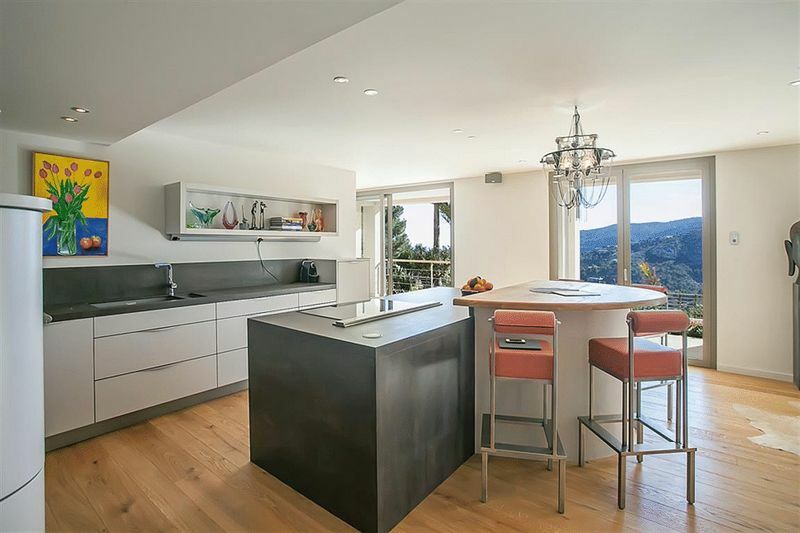 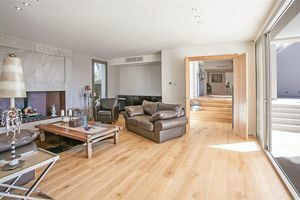 The distribution is as follows: – spacious entrance hall leads into the large live-in kitchen which is equipped with high quality appliances including a separate walk-in industrial cold room. 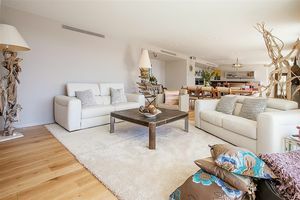 This area also has a lounge area. 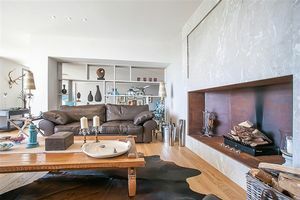 Additionally on the ground-floor there is a separate spacious living room with a modern fireplace of natural Binissalem stone and also one complete guest bedroom suite. 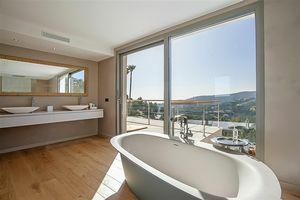 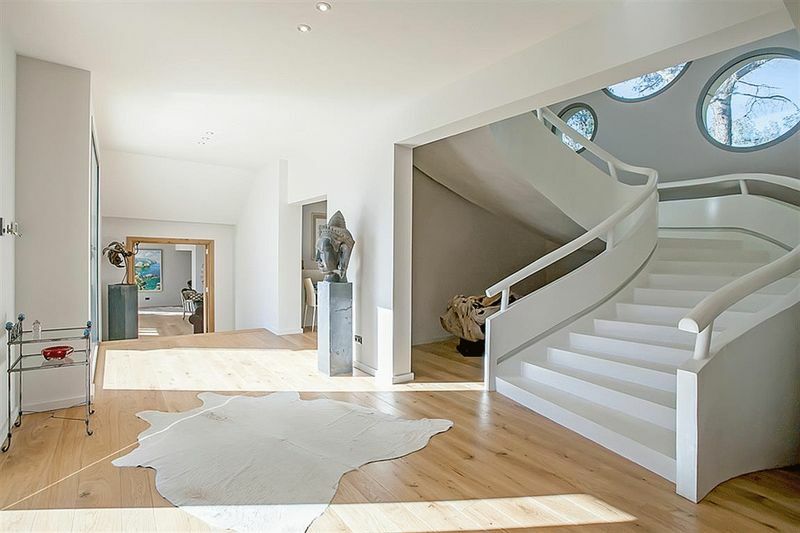 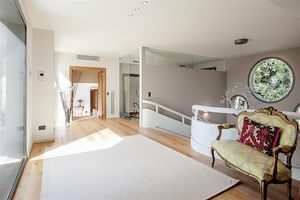 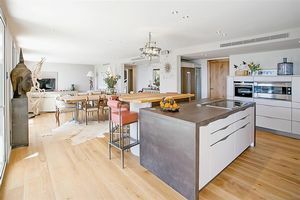 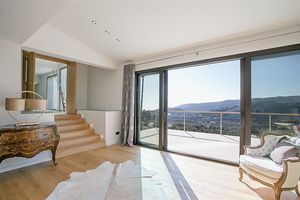 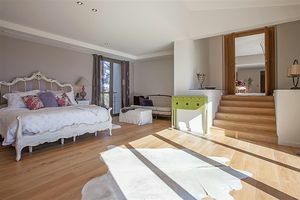 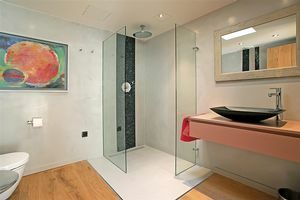 An impressive bespoke sculptured staircase leads the first-floor with large master bedroom suite with two separate dressing rooms and bathroom, as well as four guest bedrooms, all with bathrooms en-suite and each of them access to terraces and beautiful landscape views. 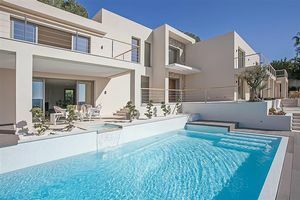 The exterior area is completed with extensive terraces, BBQ area and a wonderful sun deck with partial wood surrounds the salt water pool. 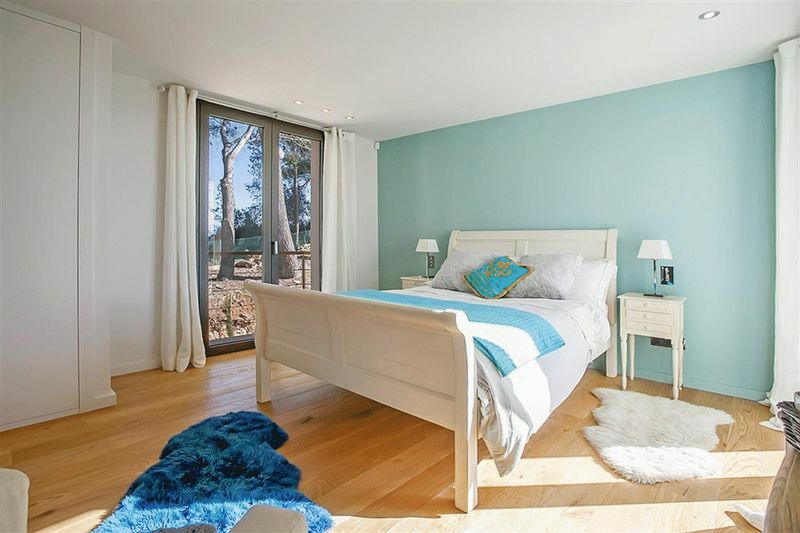 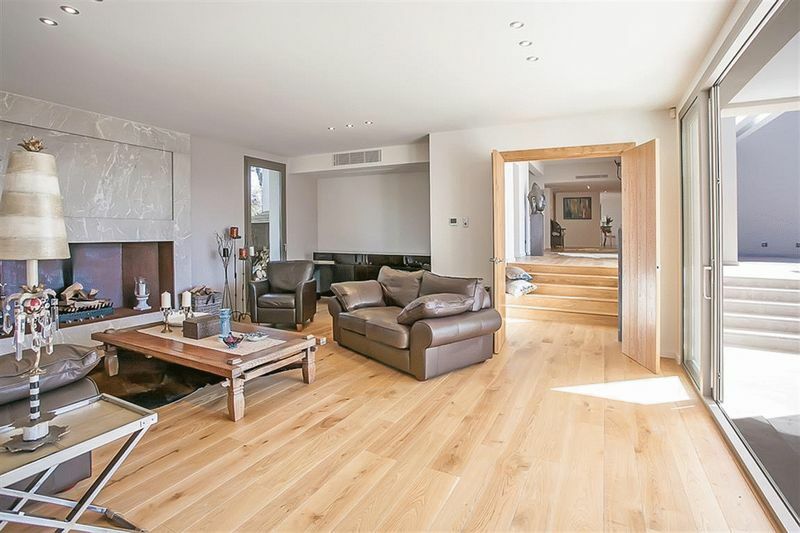 Additional features of this property include: – air conditioning hot and cold, under-floor heating, demotic system, wooden floors, 3 car garage.